The River is ideal for angling, boating and rafting. Its terrains suitable for trekking, hiking and holidaying, in a serene atmosphere. The upper reaches offer an ideal landscape for promoting adventure tourism of all kinds and are best suited for the tourist, looking for such opportunities. 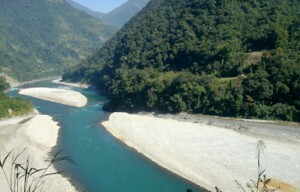 This entry was posted in Arunachal Pradesh, Lohit. Bookmark the permalink.